The iHome line of iOS-friendly docks have become a staple of hotel rooms everywhere, and this year they’re releasing a slew of ones you may want for your home. Several years ago, iHome just started off with one or two items, and at this recent CES (Consumer Electronics Show) they had a private showroom filled with more iPhone, iPod and iPad docks than you could shake a stick at. While the sheer volume of different models would be impossible to run in one article, there were a few definite standouts that are worth talking about. The iA63Rotating Dock immediately caught my eye because so many devices out there lock you into your device only being in one position. If you want to play a video on your iPhone or iPod Touch while it’s docked it can be annoying to have it stay in that upright, portrait orientation. Luckily this one will allow you to rotate the plug so you can get the device into the position you want. I must admit that at first I thought the fact it was motorized was a bit silly, but then when you think about it being on the nightstand on the other side of the bed, than it makes more sense since you can change it from the remote. I still think it would make just as much sense to reach over and rotate it by hand, but oh well. The iA63 will sell for $99, but we don’t know a release date as of yet. It’s pretty safe to assume everyone will be coming out with AirPlay enabled devices this year, but this one from iHome goes a bit beyond just letting you stream media to it. Winner of a Design & Engineering honor at this year’s CES, the iW1 can work completely wirelessly if you so choose. While various devices can be plugged into its auxiliary port, the point of the device is allow you to stream your media from iOS devices or your computer via Wi-Fi. You can even update the firmware over the wireless connection, and it features a rechargeable Lithium-ion battery so you can truly go wire-free with this device when you want. Having a party out on the deck? No problem, just charge it up, take it outside and stream playlists from your computer. It won’t be shipping until some time this summer and will have a retail price of $300. One exciting thing you’ll see across the entire line now is raised 30-pin connectors. This means that you will be able to plug in most devices while they are still in their cases. This has been one of the biggest issues with the company’s products over the years, and it’s great to see them finally addressing the issue. While they’ve made a lot of interesting products, if you’re someone who believes in keeping your iPod or iPhone in a case, you were pretty much locked out of using the products. Overall the company had a lot of interesting new units for 2011, but there were the two real standouts and should be popular once they hit shelves. What say you? 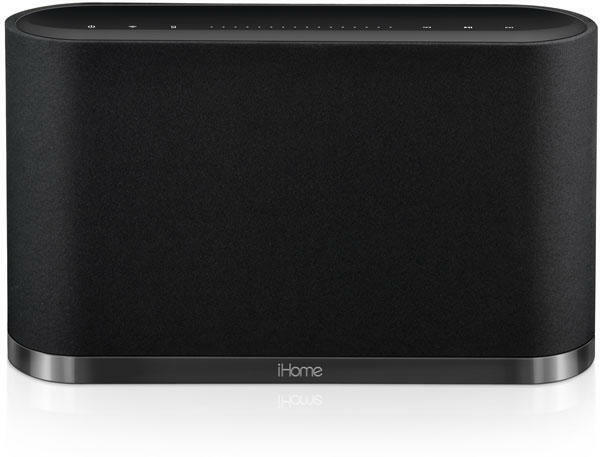 Do you use any iHome products?